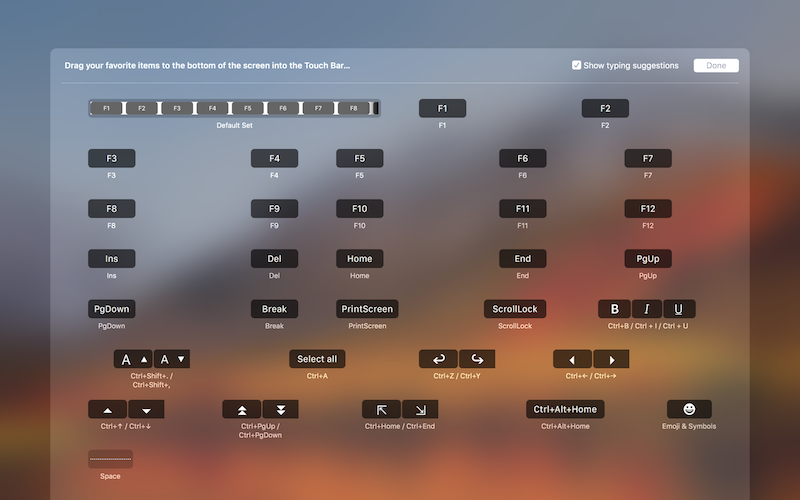 I would like to configure MacBook Pro Touch Bar options for a particular Windows program. How do I do that? In Windows virtual machine bring a program that you need to focus. NOTE: if you don't see the option, please make sure that Parallels Desktop.app is not listed in System Preferences > Keyboard > Shortcuts > Function Keys. * - programs supported in Windows 10 only.